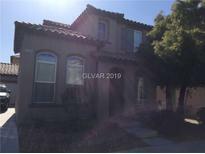 Below you can view all the homes for sale in the Industrial Star Southern Highlands subdivision located in Las Vegas Nevada. Listings in Industrial Star Southern Highlands are updated daily from data we receive from the Las Vegas multiple listing service. To learn more about any of these homes or to receive custom notifications when a new property is listed for sale in Industrial Star Southern Highlands, give us a call at 702-323-5933. Located in the master planned community of Southern Highlands, this home comes with wood shutters, surround sound, custom backsplash in kitchen & bathrooms, tankless water heater, vaulter ceilings, ethernet connections, gourmet kitchen, garage was the sales office with separate A/C and heating unit & surround sound (has been converted back to a garage), you name it....this home has it! MLS#2078340. BHHS Nevada Properties. The Master Bedroom has 2 walking in closets. Make this your new home! MLS#2071625. Century 21 Gavish Real Estate. Extended Walk-In Closet in Master bedroom. MLS#2068156. Executive Realty Services. This is a must see. Will not last under 300K MLS#2064944. RE/MAX Excellence. Three large secondary rooms with separate living room perfect next gen home. DONT DELAY ACT TODAY MLS#2057647. Platinum R.E. Professionals.